Now that I have been fixing dolls for a few years, I thought it might be useful to show and describe some of the tools that I rely on for making repairs. They are listed in no particular order. 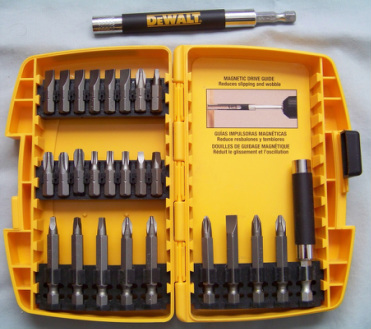 Following the list, I have attempted to categorize the tools and explain their uses. Many tools cross categories so you may need to hunt around to find what you are looking for. It takes time to acquire a tool collection. I've been fortunate in that I have been collecting tools my whole life, my sister purchases specialized tools to help with doll restoration, and my father has an amazing set of tools - including clock repair tools which are well suited for doll work. At this point, I do not have the tools necessary for repainting dolls so I will not be able to provide guidance on this aspect of doll restoration. Dolls can be hazardous! They are made from materials that you don't want to get in your eyes, nose, or mouth when you start shaping or finishing pieces. 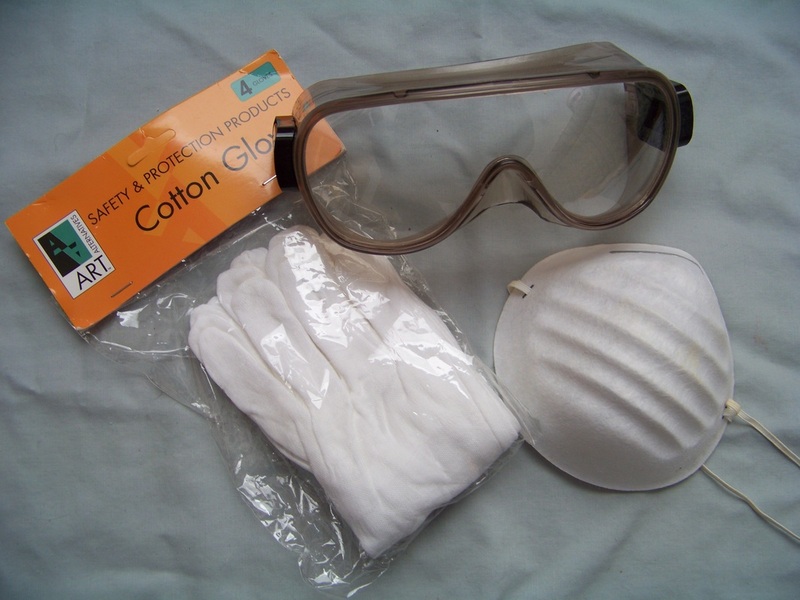 Keep safety glasses and dust masks handy. Working on mechanisms can lead to flying spring clips or fragments of gears. Gloves protect your hands from grease, oil, and sharp edges inside mechanisms. They can also protect the doll from finger oils. Cuts and abrasions happen when working with tools or mechanical parts. 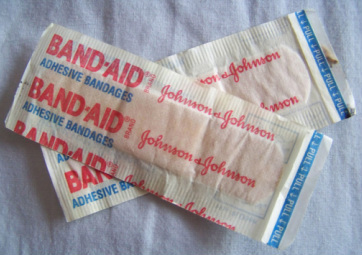 Keep basic first aid supplies like antiseptic and bandages on hand. Every doll needs cleaning at some point. It may be dust or stains the exterior of the doll itself: body, face, or eyes. Perhaps the doll's hair needs a shampoo and styling. It may be dust and stains on the clothes, shoes and accessories. Electrical and mechanical dolls often need their battery boxes, electrical contacts, or gear trains and springs cleaned. Dolls with odors can be particularly problematic to deal with. Sometimes the odors come from the environment the doll was stored in: homes with smokers or pets. Sometimes the source of the odor is the doll itself undergoing a chemical reaction or a bacterial attack. A great source of cleaning supplies is Dollspart Supply. 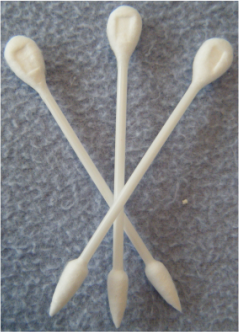 These shaped swabs are better for cleaning internal mechanisms than regular cotton swabs because they can get into a variety of spaces and do not leave fibers behind. Stiff bristle brushes and picks are reserved for the interior of dolls with electrical and/or mechanical systems. 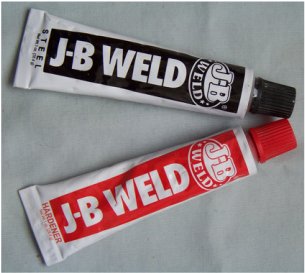 They can be used to remove hardened greases, or corrosion. 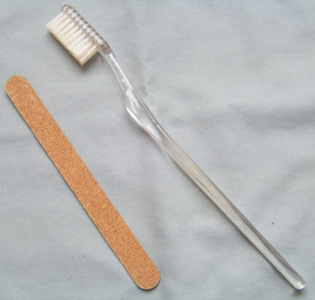 If you don't want to have too large an investment in cleaning tools, a soft bristle tooth brush can be used to clean crevices (like ears, fingers, and toes) and a nail file can burnish a corroded battery contact enough to test if a doll works as is or needs more substantial work. If you lack confidence or place a high value on the doll then it might be better to leave cleaning and restoration to professionals. Isopropanol should only be used in those rare situations where you are cleaning the tape recording mechanism of dolls that use tape recorders for their talking subsystem. A common repair on vintage and antique dolls (bisque, composition, and hard plastic) is restringing. You can tell a doll needs to be restrung when its limbs fall off, or hang limply. A properly strung doll should be able to have its legs, arms, and head put in a position and hold that position. In strung dolls, the limbs and/or head may be held into their sockets by elastic cord or bands. Elastic cords eventually lose their elasticity from being in a constant state of tension. 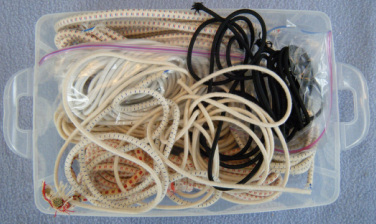 Elastic bands tend to fail in several common ways: too stretched out, dry rot, or fuse together. Restringing almost always requires 3 or more hands, so find a willing friend to help out. A long handled crochet hook makes a great restringing tool. 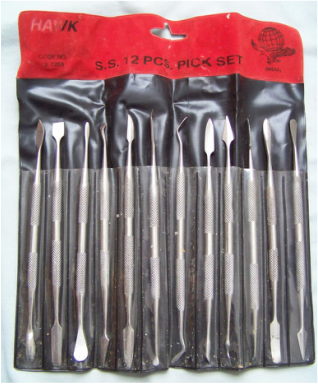 A major drawback of a crochet hook over a commercial restringing tool is that it does not have the flexibility to pass through holes that are not aligned. 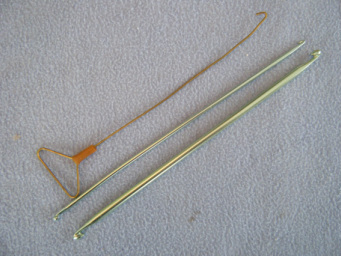 The size of the hook also limits the diameter of elastic cord that can be pulled. Elastic cords come in different diameters as well as differing elasticity. The cord you select should be based on matching the broken cord you are replacing. If you don't have a piece of the original cord then use a thicker cord in large dolls and thinner cords in smaller dolls. 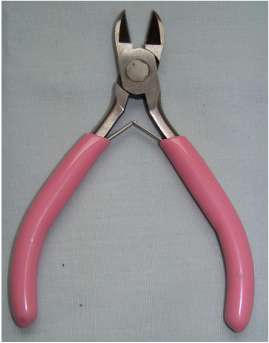 Hog ringer pliers and their clips are used to close elastic cords into loops. This tool takes a little practice to use properly. 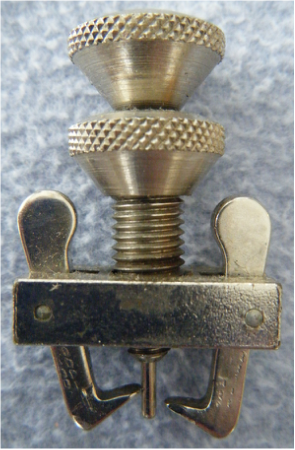 The "U" clips sit in little grooves in the jaws and tend to pop out while wrestling the tool into position. 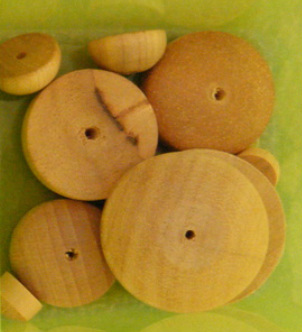 Some older dolls, require wooden buttons when joining the head and shoulders. 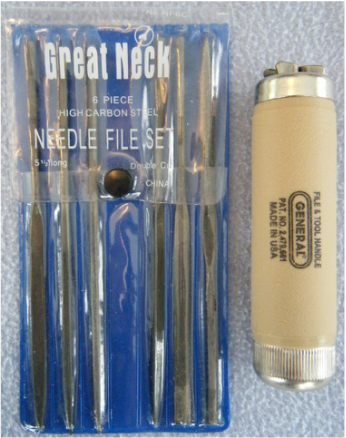 One of the most useful tool sets you can acquire for doll repairs is the type used for beading. They come with tweezers, cutters, and pliers. The pliers come in handy if the hooks one the doll's limbs need to be reopened to accept new elastic. 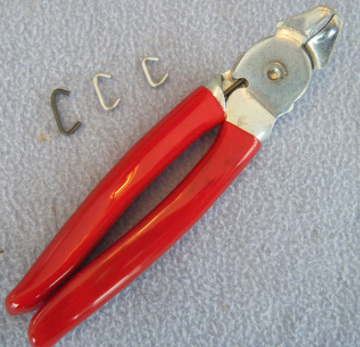 Pliers are also useful for untwisting and re-twisting wire loops used to join cloth bodies to composition, hard plastic or vinyl body parts. Some dolls have coil springs to tension leg or arm joints. 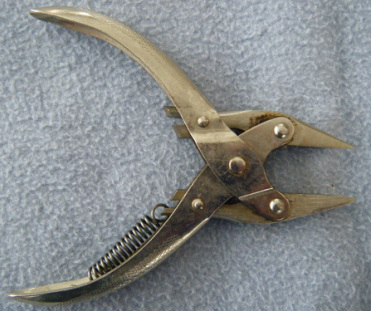 Needle-nose pliers, or hooked-nose pliers provide access to these tight locations as well as the gripping strength necessary to stretch a spring. Dolls are often strung using elastic bands. These bands are stronger and longer lived then typical office supply type rubber bands. Sometimes bands need to be doubled or tripled up to provide the correct level of tension to allow the body part to hold a position when rotated. 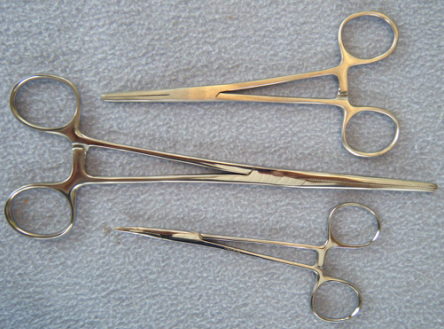 Hemostats, those tools that look like scissors but that are really clamps, are incredibly helpful during restringing operations. Once I have an elastic loop to the correct length inside the doll, I hold the two ends of the loop together with the hemostats until I can get the hog ringer pliers and clip in place. The long, thin nose of the hemostats allow the clearance necessary to fit inside most arm and leg holes. 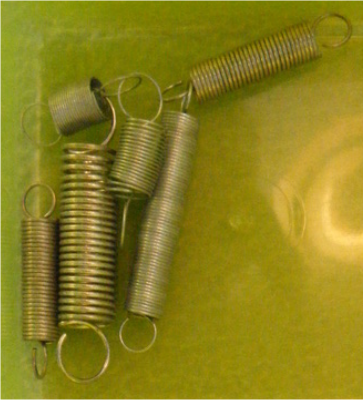 A variety of "S" hooks are useful for connecting elastic loops to eyelets on limbs and heads. Screw-eyes and cotter pins can be used to fabricate custom connections as well. Some multi-jointed dolls, especially ballerinas, use springs instead of elastic cords or elastic bands to provide the tension necessary to hold a ball and socket joint in position. We found these in the miscellaneous hardware bins at a local home improvement center. There are a number of tools that are helpful for inspecting and describing dolls after you have purchased them or if you are preparing them for sale. Flashlights are good for inspecting the inner cavities of dolls that need restringing, have eye movement problems, or have electrical or mechanical issues. This particular model has a tripod which frees up one hand to manipulate a tool (the other hand is holding the doll). 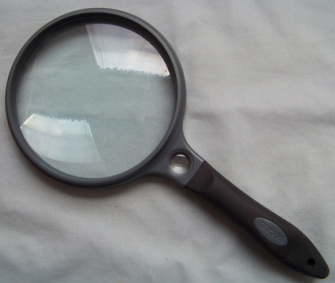 A magnifying glass is another handy tool to have in your arsenal. It can be used to read small or faint manufacturer's marks on the back of a doll's neck, examine micro-fractures, assist in painting details, or replacing delicate features like hair or eyelashes. 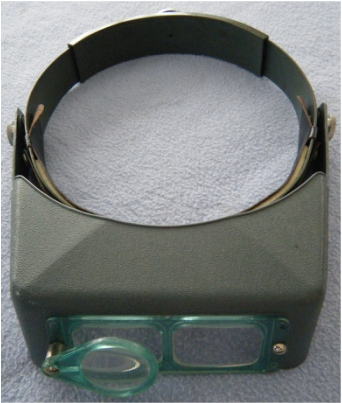 A magnifying visor can provide multiple levels of magnification as well as freeing up an extra hand. It certainly makes a fashion statement - but some of us don't mind looking like the toy repair specialist in Toy Story 2. Vernier calipers are great for accurate measurement of inside and outside diameters when selecting tubing, wire, or o-rings. 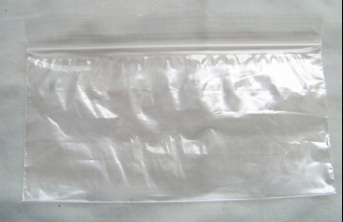 Resealable plastic bags are great for storing clothing, accessories, or screws and small parts that are inevitably part of the disassembly process. Labels are a good idea if you have a lot of parts or are working on several dolls at once. I tend to make house calls to work on dolls instead of working at home. I carry my tool collection around in this zipper bag - it makes me feel like an old time doctor on his way to visit his patients. My patients don't require leeches or lollipops. 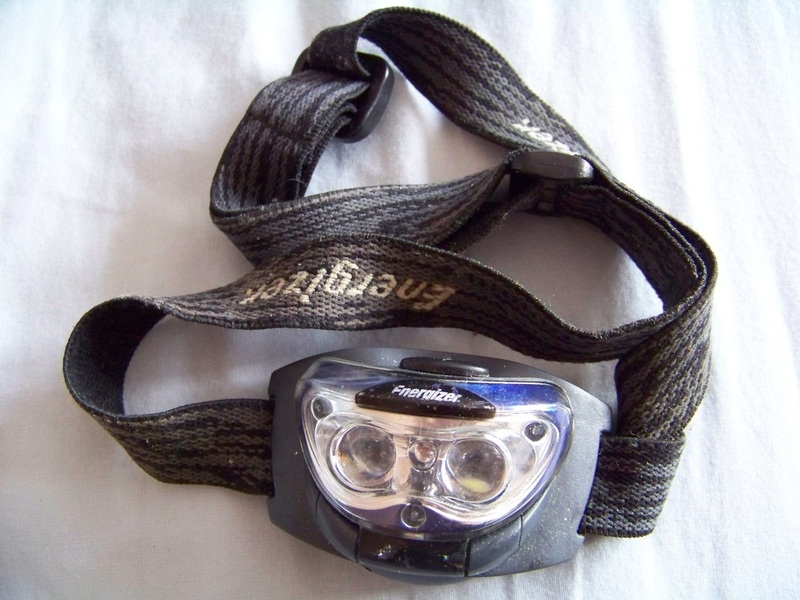 Headlamps are great alternatives to flashlights when looking inside doll heads or bodies. They free up a hand to use a tool. 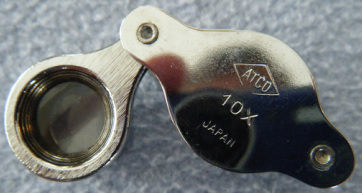 A 10 x loupe is often more convenient than a magnifying glass because it is more compact, has its own protective housing, and can fit in tighter spaces. 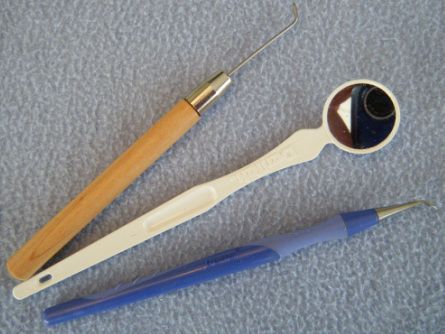 Dental tools can be helpful. The angled mirror tool is great for inspecting inside heads or around components in mechanical systems. 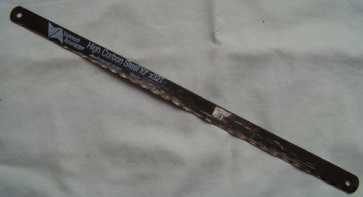 The pick can be used for scraping hardened grease from gear teeth. Doll descriptions often include the height of the doll. This is because manufacturers may have produced different sizes of the same doll. Knowing the height of the doll can help when selecting replacement clothing. Another reason for taking measurements might be to determine the correct length of elastic cord when restringing a doll. 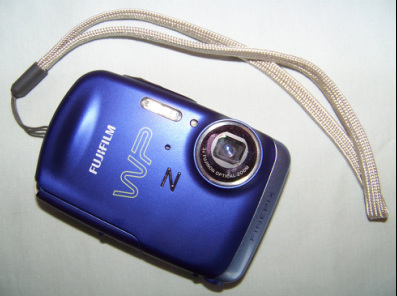 A digital camera with macro capabilities is indispensable. It is great for documenting your doll for your records or for sale. I use it to take a series of photos as I dismantle a doll so that I can put it back together correctly. This is especially important if you only get to work on a doll sporadically or have multiple dolls being repaired at the same time. 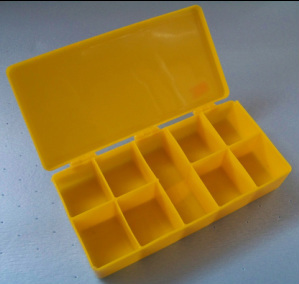 Little storage containers such as this one are great for storing parts from a doll you are taking apart or for small parts like screws, nuts, washers, and so on. 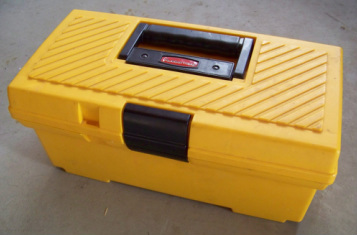 I have so many tools that I need a backup toolbox. It is not unusual to be spread out on 2 kitchen tables and a workbench when doing repairs. Spreading out tablecloths and old blankets can protect the work surface and the dolls. Blankets also make excellent backdrops for documenting your work with photographs. This is important - power screwdrivers and drills should not be used on dolls. Even "hard plastic" is a soft material and a screw under power will either strip, split, or melt a mounting post. Some screws come very close to the opposite surface of the doll and can break through the doll's "skin" if they are driven in too deep. A screw driven with a lot of force can also crack the body surface being run down onto a threaded post. In short, always use hand drivers and a delicate touch. Plastic and composition dolls generally don't take much force to strip out if you use too large a drill bit. 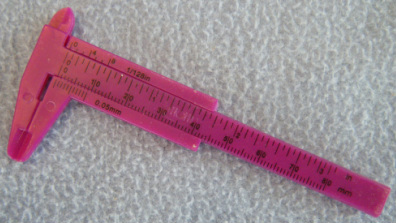 Using too small a bit can cause the screw to split plastic or composition. Gently clamp down the part being drilled as it might spin, further damaging the part. 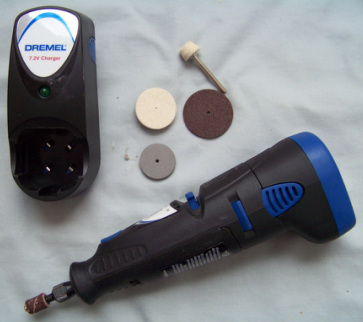 When drilling through holes, use a backing material to make a clean hole. Hard plastic can tear or splinter. 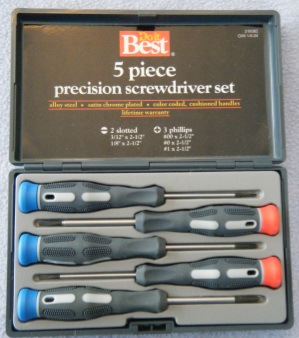 A good set of screwdrivers is essential for dismantling and reassembling mechanical systems. All the vintage dolls that I have worked on use either straight head or Phillips head screws, so nothing too exotic is needed here. The same rule applies to drilling as for screwing - do not use power tools. 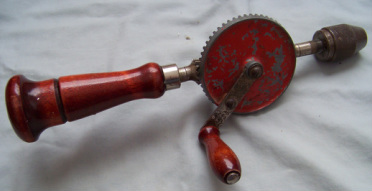 This hand drill (a family heirloom) has a very smooth motion and can be turned at extremely slow speeds so as not to run through, split, or melt hard plastic parts. While a doll's body is often held together with screws that take standard size drivers, the inner workings almost always require precision, or jewelers screw drivers. An advantage of this type of screwdriver is that it doesn't use a forearm rotation, but rather a finger spin motion to operate. This keeps the touch delicate. I've misplaced a few pieces in the set pictured here, including a nice magnifying glass. 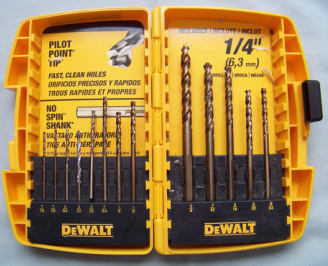 Drilling is not usually part of the repair process - unless new parts are being fabricated. Be very careful to match the bit to the size of screw or screw eye that you will be using. 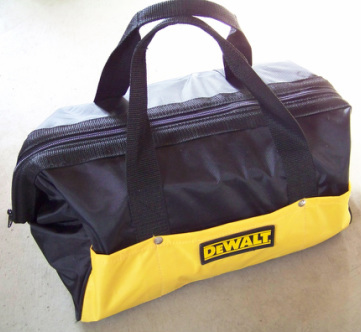 This is a hobbyist's Workmate that can be oriented in many ways because it has a lockable ball mount. The two clamping halves do not have to be parallel, which is good for gripping odd shaped parts. Padding should be used when clamping body parts. This little hand held vise can get into tighter spots and is also useful for bending metal strips when making new battery contacts. This is a small hobby vise. 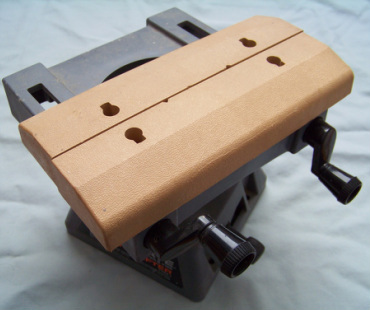 It can be clamped to a larger work surface with C-clamps or mounted on a drill press. Small vises such as this one are good when you need to bend metal for new electrical contacts or need to drill holes for screws or rivets. Padding and minimal pressure should be used if a doll's limb or other body part needs to be held in a vise. While technically not a vise or clamp, parallel jaw pliers are used to grip flat materials - like sheet metal being formed into electrical contacts. The three most common problems with electrical systems in dolls are: corroded or missing contacts, seized up motors, and broken leads at solder points. Corroded contacts need to be abraded clean. Missing contacts need to be replaced with handcrafted parts. Seized up motors need to need to be lubricated and hand spun until they start or torn apart and cleaned. This is not an operation for the faint hearted - it is very easy to destroy the motor. 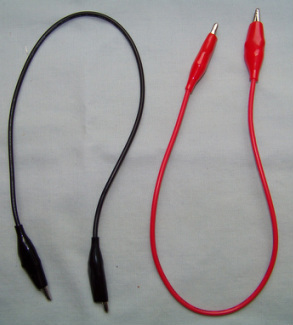 Broken leads need to be soldered or reattached in the same method used by the manufacturer. Never leave batteries in a doll and always use fresh batteries when testing a doll. Alligator clip test leads are indispensable when bypassing corroded battery boxes to see if a motor is seized up. Clip one end to a motor lead and touch the other end to the battery terminal. Do the same for the other motor lead and battery terminal. Bypassing the doll's battery box, and internal wiring, is the best way to test a motor to see if it is seized up. 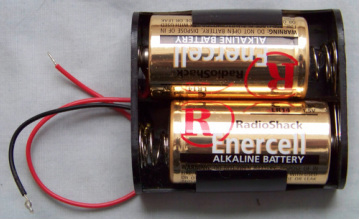 Vintage dolls tend to use from 1 to 4 C or D batteries connected in series. Pre-made battery holders with their own leads can be loaded with fresh batteries and touched across the terminals of a motor to test it. It sure beats holding a bunch of batteries end to end in your hands and simultaneously touching wires to 4 contact points. 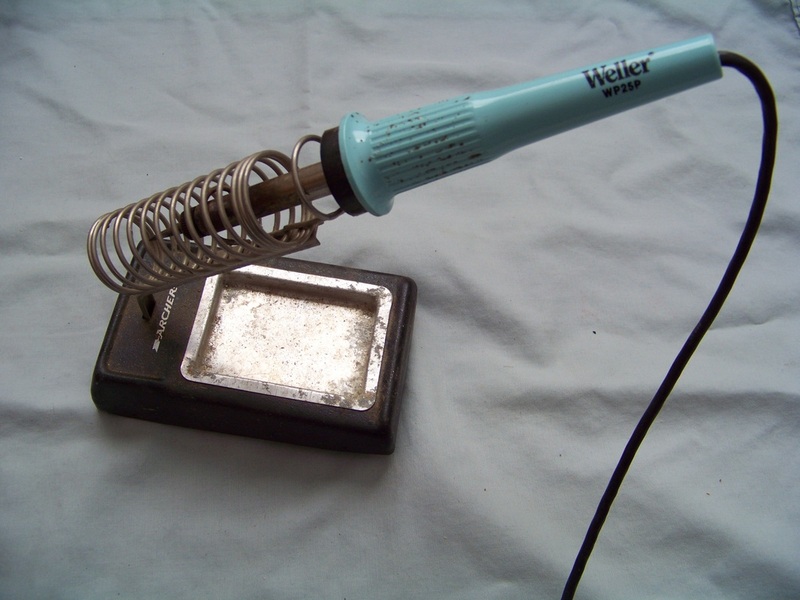 Depending on the situation, desoldering braid and a solder sucker (desoldering pump), can be used to clean up original solder so an old wire can be removed and a new connection made. 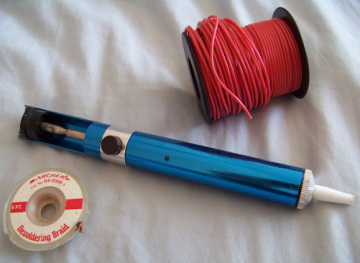 Spools of replacement wire are readily available from electronics suppliers. 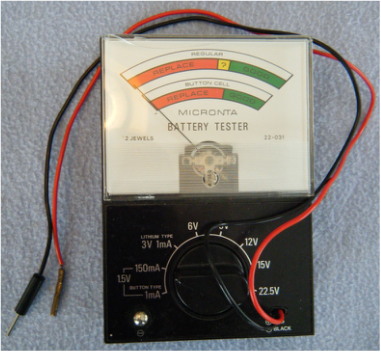 A battery tester is more appropriate for testing the output of a battery than a voltmeter. We keep a variety of battery sizes around and never know if they are good or if the doll is just not working right. The battery tester eliminates one variable from that equation. 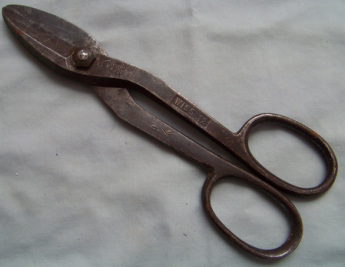 A small pair of wire cutters are useful for cutting wire to make replacement leads in electrical systems that have suffered from battery corrosion. 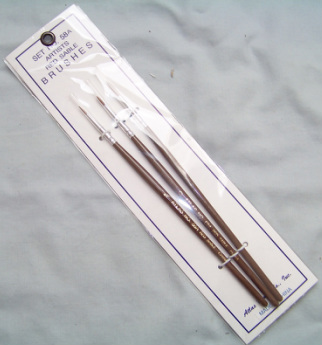 They are also useful for cutting thin wire to be used for armatures when making replacement fingers and toes. 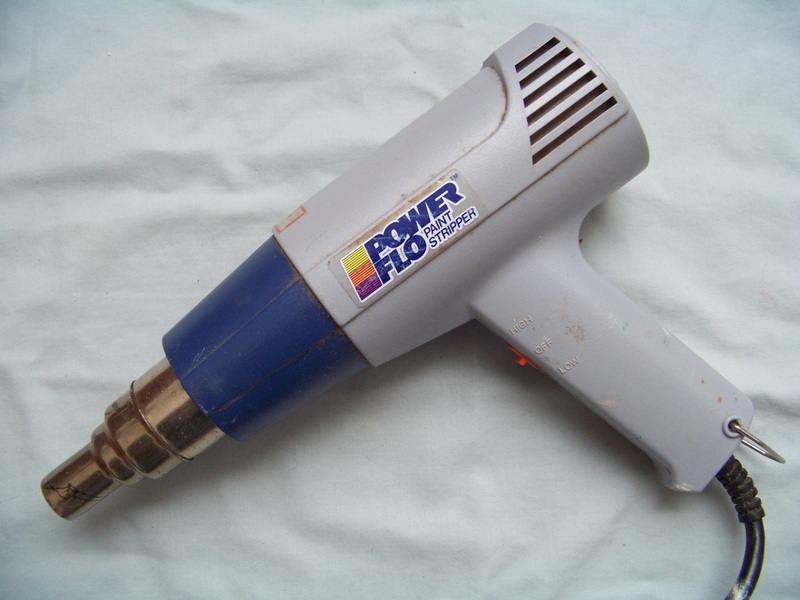 A soldering iron (as well as solder) is indispensable for fixing electrical problems. 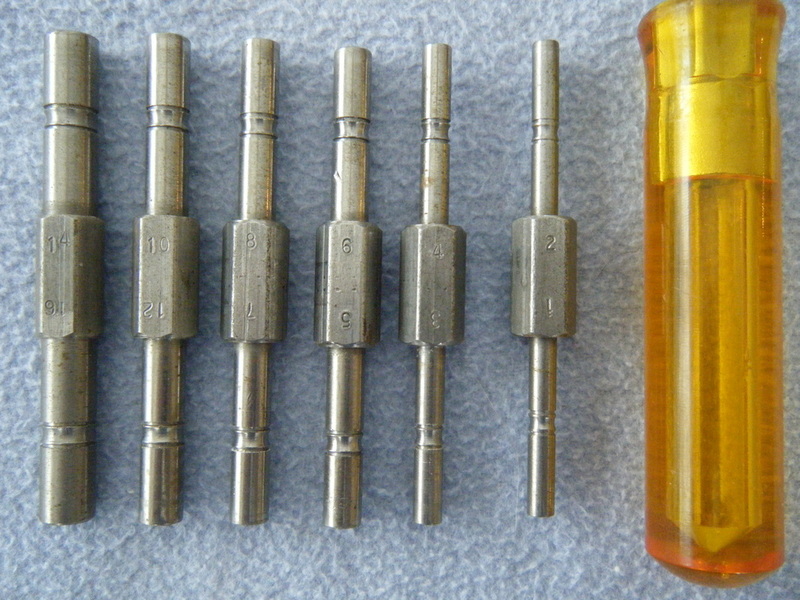 Some doll manufacturers used crimp on connectors, rivets, or press fit connections. Great care should be used when heating any metal components that come into contact with hard plastic - the heat will transfer from the metal piece to the plastic and either melt it or scorch it. 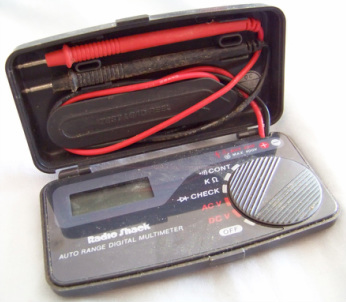 Multimeters, like this little pocket model, are ideal for testing the continuity of electrical systems that may be corroded or have broken wiring. 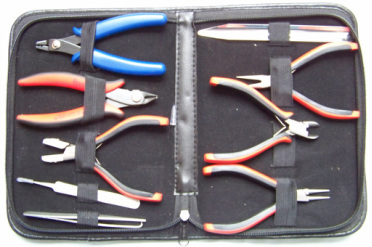 Wire strippers are useful if you need to create a new connection to a battery or motor. 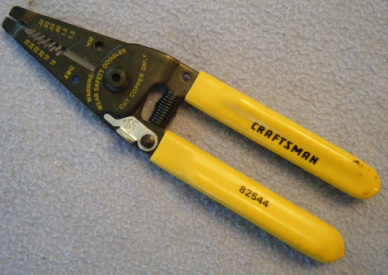 Most include crimpers as well in case you want to add terminals or join wires with crimp nuts. Sculpting, or making body parts is necessary if you are creating your own doll, fixing a doll you purchased with a TLC (tender, loving care) descriptor, or one of your prized possessions suffered a bodily injury through dropping, pet chewing, shrinkage, or HPD (hard plastic disease). 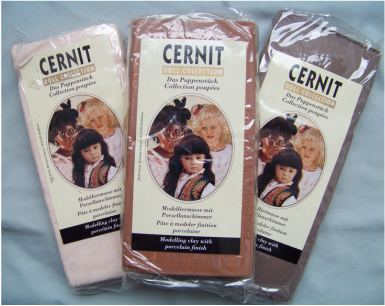 Cernit is a thermosetting modeling compound. It comes in a variety of skin colors. It is useful for repairing broken fingers and toes on large dolls or replacing entire limbs on smaller dolls (like Carlson souvenir dolls). It takes a little practice to use well and care must be taken when heating the material - it is easy to create unintended flat spots on the replacement part. I've successfully added screw eyes to the unheated product. When set, the screw eye creates an effective attachment point for strung dolls. Working with Cernit is easier when sculpting tools are used. 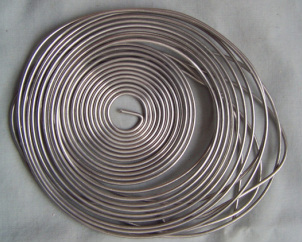 Soft aluminum wire can be used as the internal structure (armature) for small limbs, or individual digits when working with Balsa Foam or Cernit. 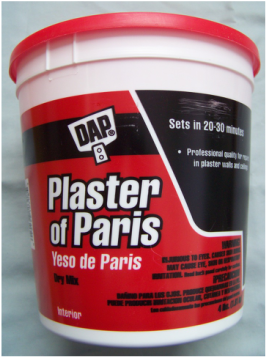 Plaster of Paris can also be used to make replacement parts or molds of pieces that suffer from Hard Plastic Disease or are disintegrating. 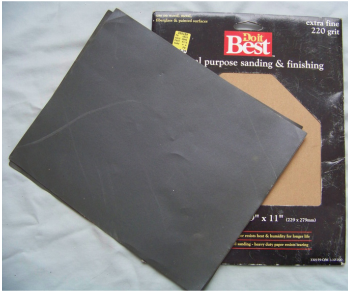 Various sandpaper grits are useful for shaping and smoothing replacement parts. Sculpting tools are good for shaping Cernit into digits and adding details like wrinkles, fingernails, and dimples. Sculpting balsa foam is another way to make replacement digits or whole limbs. Balsa foam can be cut, shaped, sanded, and painted easily. 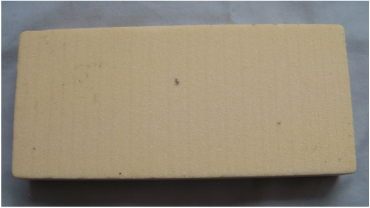 Balsa Foam II is not as soft as Balsa Foam and makes for sturdier replacement parts. 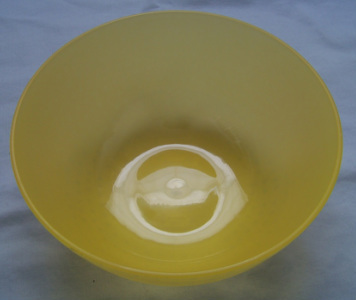 This is an inexpensive mixing bowl that can be used for mixing Plaster of Paris. Sanding freehand can create uneven surfaces when shaping replacement limbs. Small sanding blocks that allow different grits of paper to be stuck on to them tend to create a better finish. Needle files are great for scraping heavily corroded contacts. I've used them to reshape the inside of hard plastic doll bodies as well as metal walking mechanisms when plastic shrinkage has locked up the walking action. Using the handle prevents the file from reshaping the palm of your hand. I try to use glues as sparingly as possible. It is possible that they contain a chemical component that will have an undesirable reaction with a plastic invented 30 years before the glue was formulated. Extreme care must be used when using super glues near moving pieces - like sleep eyes. I have not encountered a situation where a hot melt or cool melt glue is the best solution to solve a problem with a vintage or antique doll. Lubricants should also be used sparingly because their chemical formulation might react with the material the doll is composed of. Things like talc, graphite, and vaseline may seem like logical choices for stiff joints but they can damage your patient. I limit lubricants to stuck motor shafts and places where a metal part rubs against another metal part. An area that I would like to investigate is how to seal raw metal. Walking mechanisms that used steel parts tend to rust heavily and stick together. Removing the rust without sealing the surface just leads to another round of rusting. There must be an answer that doesn't require plating metal surfaces. Most doll repairs that require glue only require a drop or two. 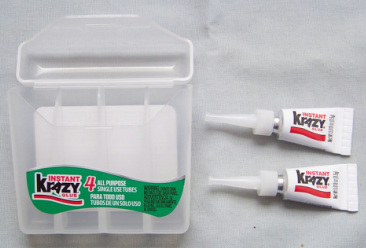 Single use, instant set glues are convenient because you never find yourself in a situation where your glue has already set in the tube when you need it most. Usually a drop of clock oil on a motor shaft will help to get the motor turning again. Clockwork dolls like Walking Winnie, Walking Wanda, and Schilling dolls may require clock oil on other metal contacts as well. Epoxies can be useful because of their great strength. They can be smeared around on the inside of things to increase the strength of an area. You wouldn't think a metal epoxy would have a use on a doll but I had a repair on a walker where the central rod going from the hips to the head needed to be sawed out and rejoined in order to get the doll to walk. 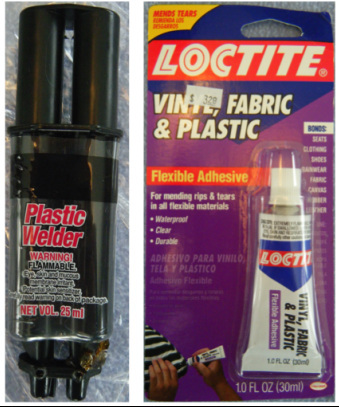 There are a variety of products that can be used to repair cracks, tears, or breaks in plastics and vinyl. Cutting tools are selected based on the material they are going to cut: composition, hard plastic, vinyl, metal, or fabric. A razor saw can be useful if you need to cut open a hard plastic doll that is glued or fused together instead of being screwed together. The blade in the picture is too coarse for doll work. 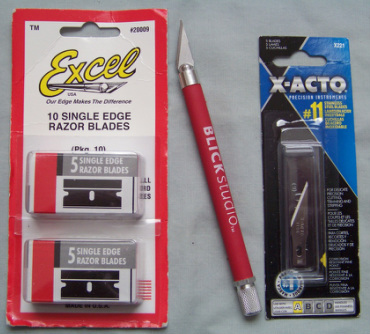 Single edge razor blades and hobby knife blades are another way to cut apart hard plastic dolls that are joined with glue or fused. This is hazardous work - wear safety googles for when a blade snaps and cut resistant gloves to prevent slicing your hand if the blade slips off the oddly shaped doll body. The hazard to the doll is breaking the body somewhere other than the seam or cutting into some internal parts. The thicker areas around the neck, shoulder, and hip are where you will run into trouble because more force is required. A slip here will cut vinyl limbs and the neck flange like butter. 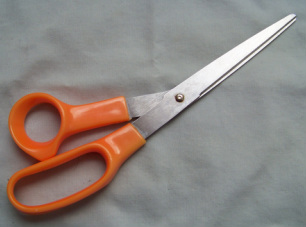 A good pair of scissors is good for cutting out old elastic when restringing dolls. I have only used a hack saw blade for cutting the central steel rod out of a walking doll. 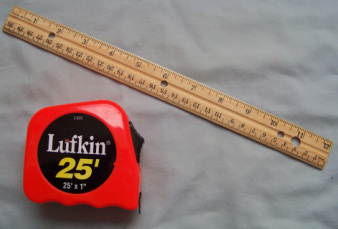 They tend to be too long and cut too wide a groove to be useful on plastic. If you think you might need one, then I would recommend a handle or wrapping the blade with cloth tape to prevent injuring your hand. Cutting open a glued or fused doll with a power saw is dicey for several reasons. First, unless the speed is dialed way down, the friction will melt the hard plastic and it will be rejoin behind the cut. Second, the blade tends to catch in the material and run away from the seam. 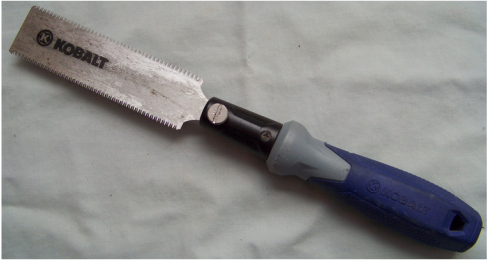 Third, you don't have a feel for if the blade is cutting through any internal components. Snips are great for cutting thin metal sheets when fabricating new electrical contacts. Heat and dolls generally don't mix. However, there are a few situations where heat is useful on hard plastic dolls. Heat should NEVER be applied to celluloid dolls. They are FLAMMABLE. If you can't tell the difference between hard plastic and celluloid then do not use heat. 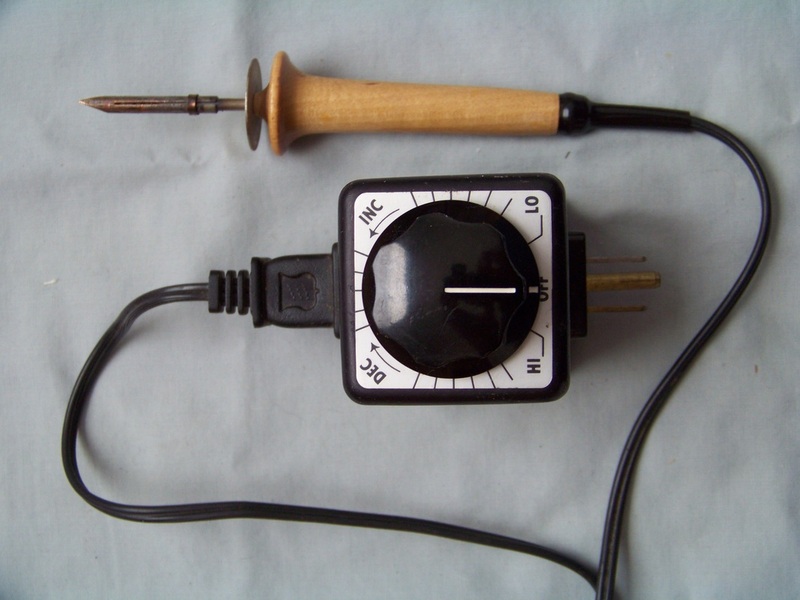 I have used my temperature adjustable wood-burning tool on several repairs. Hard plastics have different formulations and therefore melt at different temperatures. When fixing cracks or open seams in hard plastic dolls, start at a low setting and gradually increase the heat until the plastic softens and flows. If the plastic starts to bubble or burn then dial the heat back down. These type of repairs leave discolored scars on the doll but they can keep the crack from getting worse. A soldering iron with a rheostat is also effective for this type of work. Avoid breathing the fumes as much as possible by working in a well ventilated area. If you are missing material to fill a gap then you may be able to use a hobby knife to shave off some material from a raised area inside the doll's body. Heat it until it can be spread into the gap. Hot air guns need to be used with extreme caution. They can soften larger areas of hard plastic than a wood-burning tool or soldering iron. Too much heat and a vintage doll will become a soupy, smelly puddle. A hair dryer might be worth trying before bringing out the big guns. There are some areas in doll repair that I have not yet ventured. Here are some tools used in those areas. I will expand upon these topics in the future. Dolls with cloth bodies may have vinyl appendages stitched on. Vinyl holes tend to close up when punctured with sharp implements. 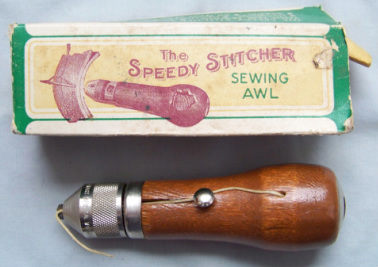 Stitching awls and waxed threads make replacing failing fabric bodies easier. Other alternatives include carpet needles and leather needles. This may look like a battleship but it is actually a wire bending tool. 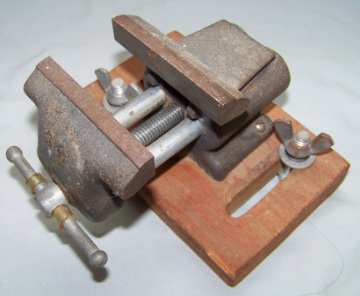 The wooden base can be clamped in a vise. The wire can be laid in the troughs and bent or bent around the triangular or curved ends. The posts provide yet more options for creative bending. I've used this particular tool to make replacement pieces for broken walkers. Wind up dolls and toys may be missing their keys. This socket handle set provides both a convenient way to size a key, and wind up your patient to see if it works until you can purchase a replacement key. Paint brushes are obviously useful for repainting features that have worn off the doll. 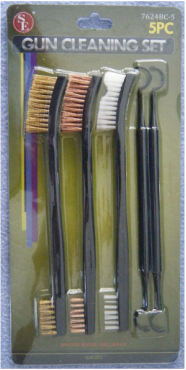 Larger, soft bristle brushes can also be useful for keeping your collection dust free. 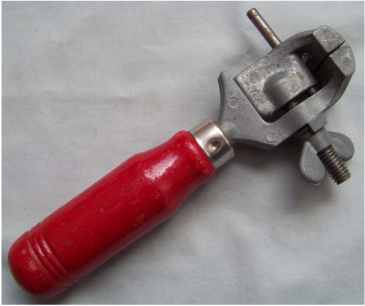 This is a gear or wheel puller. It is a clock tool that can be used on wind up dolls or mechanical dolls with broken gears in a drive train.